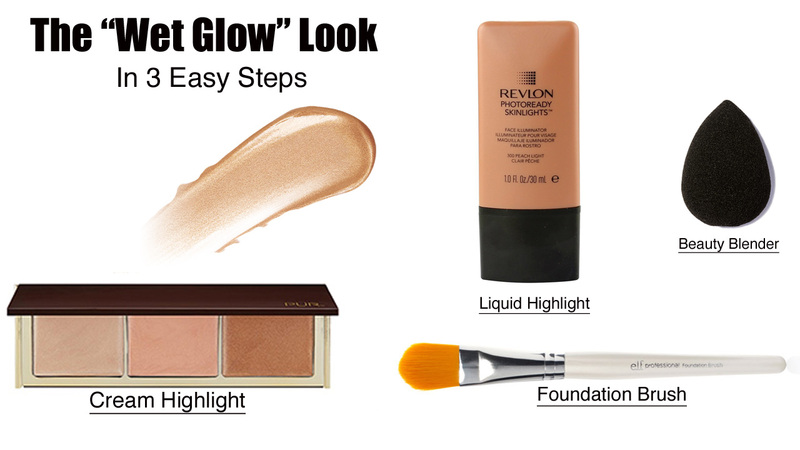 I have been obsessed with the "Wet Glow" Look that a lot of supermodels have been rocking because it is so effortless. When done right, you will end up looking like you have gorgeous glowing skin that is radiating from within. Powder highlights have been thee trend for a while now, but to achieve this look I like to use a liquid or cream highlighter. At first, I was very intimidated by liquid highlighters because I thought they would be hard to blend on top of the pounds of makeup that I usually pile on my face, lol. Thank goodness for the inventors of the beauty blender, it took all of my blending concerns away. Whether you choose a cream or liquid highlighter, the beauty blender will be your best blending partner. I recommend that you first apply the product with a flat foundation brush and blend it further with the beauty blender. 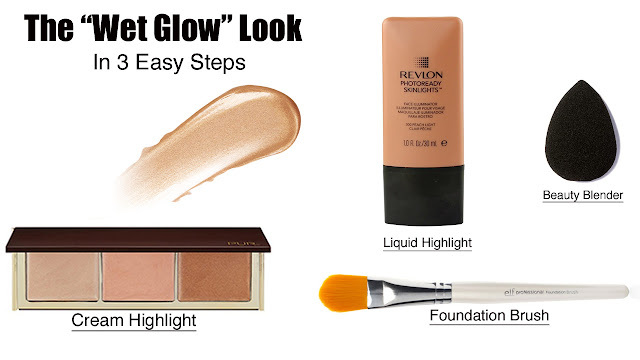 Check out my "wet glow" routine in 3 simple steps. Thanks for stopping by. Hope to see you very soon! Yass love the new look.